Toronto is the hockey mecca of the world. There is always something going on, whether that involves players, the coaching staff or the front office brass. With the beginning of the preseason, there has been a ton of news to talk about the Toronto Maple Leafs. The news itself is as diverse as the team. The Maple Leafs have been excellent through their tune up games so far, and have been particularly adept in the new overtime format. They also recently trimmed their roster and sent some prospects down for more seasoning. The most puzzling piece of news however, has focused on the Leafs and their possible pursuit of Devils forward Travis Zajac. I break everything down in the following paragraphs. Take this heading with a grain of salt, because the regular season has yet to officially start. Two of the Maple Leafs three games so far in the preseason have made their way into overtime. One was scheduled to do so anyways, but I digress. The Leafs have won both,thanks to goals from Joffrey Lupul and Jake Gardiner. The way to tackle three-on-three overtime during the regular season will be speed. With so much room on the ice being freed up, the old adage that speed kills will take on a whole new meaning. Who would the Maple Leafs send out if they reach three-on-three? Morgan Rielly, Jake Gardiner and James van Riemsdyk are three names that immediately jump to my mind. The keys to winning in this new format are speed, accurate passing and taking advantage of odd-man breaks down the ice. It will really give skilled players a chance to demonstrate exactly how good they are. Be ready for some exciting finishes as the season rolls on. The Maple Leafs recently made some roster cuts and sent players back down to the AHL and to their junior teams. Frederik Gauthier, Josh Leivo, Brendan Leipsic and Casey Bailey will all report to the Marlies while Travis Dermott, Andrew Nielsen and Dmytro Timashov will go back to their junior teams in the CHL. Gauthier was the first-round pick of the Leafs in the 2013 NHL Entry Draft. He’s a solid, defensive-minded centre that has been unable to crack the big team. Leivo has played a total of seven games for the Leafs over the last two years but is still young and learning. Leipsic was acquired in the Cody Franson deal last season, while Bailey was a signee late last season out of Penn State. He suited up for six games. Dermott is an offensive defenseman who was also the Maple Leafs second-round pick in this past draft. Neilsen was also a 2015 draft choice at 65th overall. He has NHL size and is projected to be a steady defender in the years to come. Timashov is a highly-skilled forward who turned a few heads during his brief time at camp. He displayed excellent skills, good speed and a solid awareness when he was on the ice. With the cuts, there are now 26 forwards and 15 defensemen left at camp. 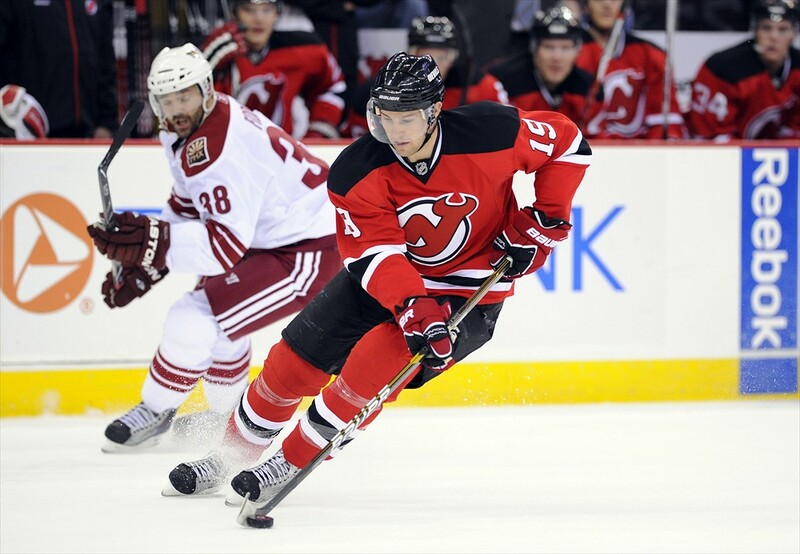 News Point #3: Are the Leafs Pursuing Travis Zajac? Lou Lamoriello is the new Maple Leafs general manager. He spent nearly 30 years with the New Jersey Devils. He knows the system and the players in that organization like the back of his hand. There has been speculation that Lamoriello would love to bring in Travis Zajac, a player he’s known for many years. Zajac was drafted by the Devils in 2004 with the 20th overall pick. He’s a steady centre who has spent his entire NHL career with New Jersey. The potential move has its pros and cons. 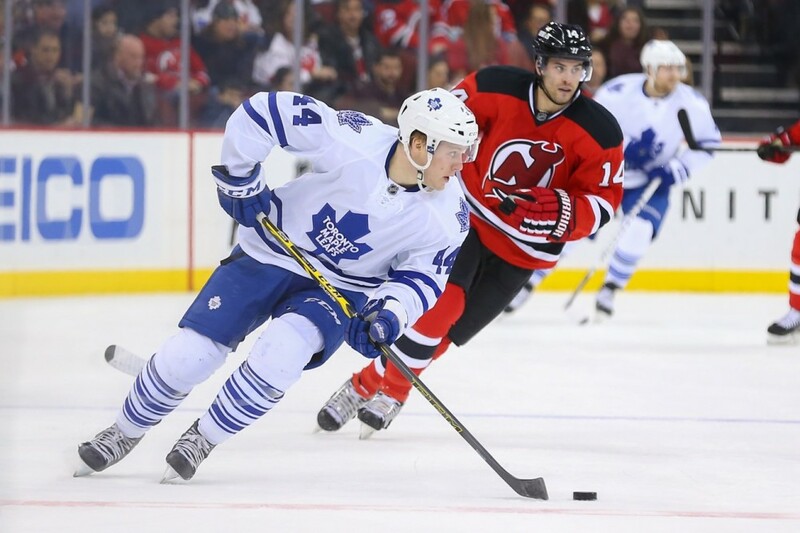 Zajac is a steady and veteran presence on what should be a younger Maple Leafs team. He could potentially bring in a bit of leadership in this transitional year. On the con side, if the Leafs want to get younger and more skilled, bringing in the 30-year-old forward may not be the best option. His contract has him signed all the way through to the 2021 season. Taking on a deal with that much term may do more harm than good in the long run. The Maple Leafs continue to make news as the preseason rolls along. Check back daily for new and exciting tidbits out of Maple Leafs training camp.